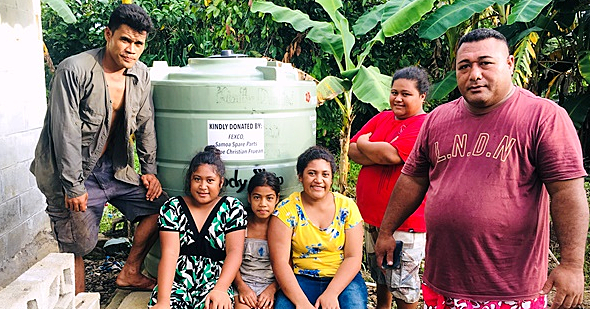 The Vailima-based Secretariat of the Pacific Regional Environment Programme (S.P.R.E.P) has opened a programme office in Fiji continuing growth across the region. The opening of the office follows the signing of a host country agreement with the Fiji Government last month paving the way for the establishment of a S.P.R.E.P office in Fiji. “The office that we are opening today is the central office for a 3-country Pacific Ecosystem Based Adaptation to Climate Change (P.E.B.A.C.C) project. The establishment of the office has been made possible with the support of the German government through the Pacific Ecosystem-based Adaptation to Climate Change (P.E.B.A.C.C) project. “P.E.B.A.C.C is part of our ecosystem-based adaptation to climate change programme. Well-managed and functioning ecosystems and the services that they provide are essential for maintaining and building national and community resilience to climate change, and this is reflected in most Pacific national climate change policies,” Leota said. The Director General also took the opportunity to announce to the donors and development partners that the Pacific climate change centre at the S.P.R.E.P office in Apia is now moving at a steady pace. “This Friday, the Vice Minister for Foreign Affairs for the Government of Japan will sign a Note of Exchange with the Government of Samoa to formalise the next steps which include the actual beginning of construction around June of next year. 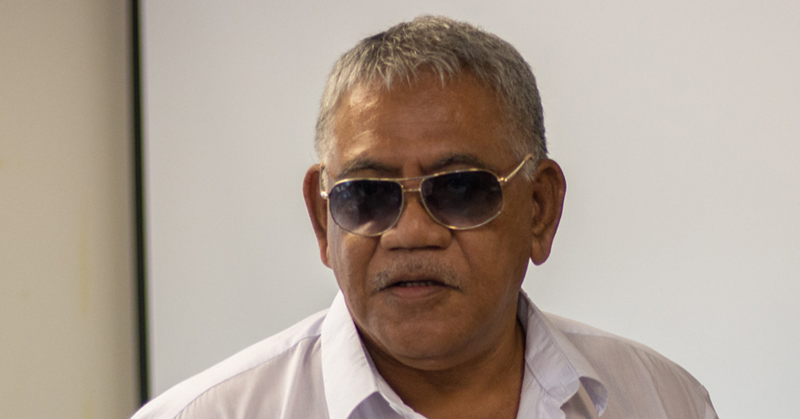 The Pacific Climate Change Centre will be a climate hub of excellence which will be a conduit and catalyst for coordinating climate change activities in the region,” Leota said. 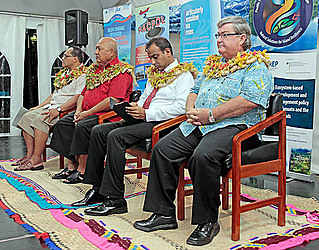 Fiji’s Foreign Affairs Minister, Ratu Inoke Kubuabola, the chief guest at the ceremony reiterated Fiji’s concerns for climate change and welcomed the roll out of the P.E.B.A.C.C project in Fiji. The German Honorary Consul based in Fiji, Dave Aidney in his remarks on behalf of the German Government said “S.P.R.E.P and the Pacific Community (S.P.C) are long standing partners of Germany’s climate, energy and development policy in the South Pacific. And we value this partnership and their level of cooperation. The P.E.B.A.C.C project focusses on strengthening and protecting the role of natural ecosystem services to enhance resilience with activities in Fiji, Solomon Islands and Vanuatu. 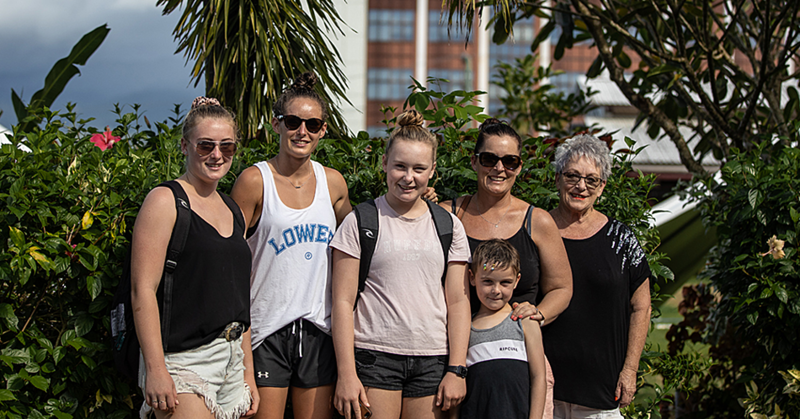 The 5-year project which began last year is funded by the German Federal Ministry of the Environment, Nature Conservation, Building and Nuclear Safety (B.M.U.B) and is implemented by S.P.R.E.P in partnership with the governments of Fiji, Solomon Islands and Vanuatu. S.P.R.E.P is the primary intergovernmental environmental organisation working in the Pacific. Its mandate is to promote cooperation in the Pacific region and provide assistance in order to protect and improve its environment and to ensure sustainable development for present and future generations.